Finding snacks for kids that they not only like to eat but are also healthy is a chore sometimes. Now with them out of school for summer (my older 2 are homeschooled but my youngest snacker isn’t), I want to make sure that we have things like fruit & other healthy snacks on hand for when they want to graze. Revolution Foods completely understands this because it was started by two moms. 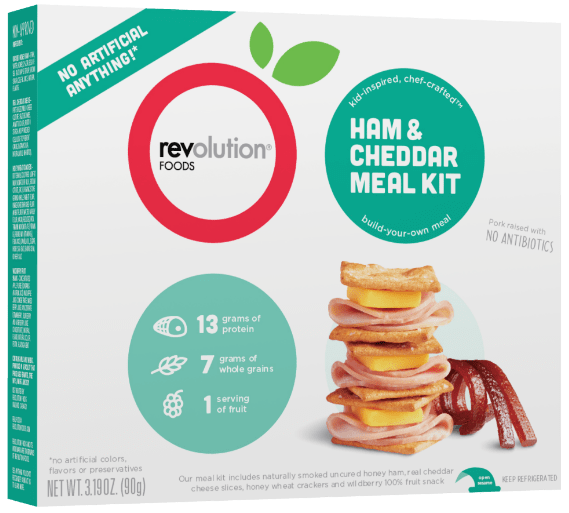 Revolution Foods Meal Kits are a great & convenient way for kids to eat meals with natural, high quality ingredients, feature no artifical colors, flavor or preservatives & your kids will love them! 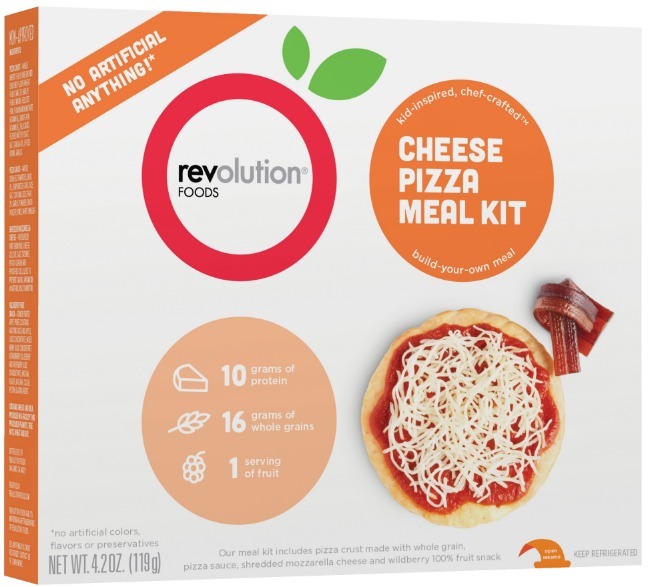 While a lot of other pre-packaged meals come with all that added “junk”, you won’t find that in Revolutions Foods Meal Kits. My kids have always asked for other brands pre-packaged meal kids when they’ve been shopping with me and we’ve tried them before but not only do they NOT taste good, one look at the ingredient list tells you why you don’t want your kids eating them. Revolution Foods Meal Kits are perfect for taking to the beach, the park, summer camps and so many other places. Plus, you’ll know you are feeding your kids something healthy & something they love, too! Revolution Foods also just recently received a $30 million investment for the co-founder of America Online (AOL), Steve Case. Revolution Foods has been serving their meals in school cafeterias as a healthier alternative for the food that cafeterias had been servings, while still meeting the federal guildelines (and then some! There meals are made with whole foods, are without high-fructose corn syrup or artificial colors, flavors or additives & are served with a fruit & vegetable). The $30 million investment will help bring even more Revolution Foods Meal Kits to schools. Right now, Revolution Foods serves over 1 million meals a week to 200,000 kids (breakfast, lunch, snack and dinner). 80% of the students that they serve are on the free and reduced meal program, too. Healthy food should be available to all kids, regardless of family income! (You can read more about the investment at Time).